Happy Family Brands makes a little something we like to call "squeezies" in our household, and my children are OBSESSED with them. 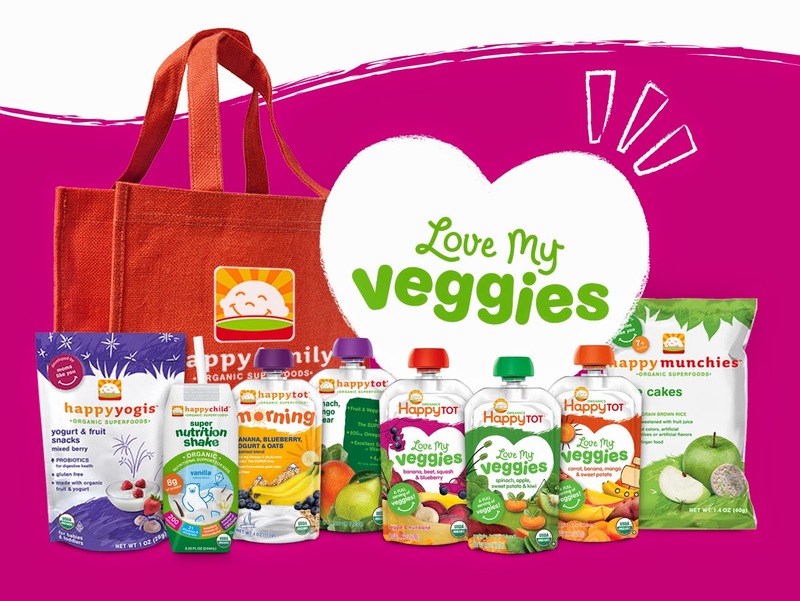 Naturally, when Vivian was invited to participate in a campaign to highlight their new "Love My Veggies" line & its availability at Target with the Made to Matter collection, I was excited for us to participate. In case you haven't heard, Made to Matter is all about shopping healthy & eco-conscious brands at Target that are better choices for your family & for the environment (check out the cute video about the brands featured here). Well, we all know how that turned out. As I wrote about last month, I don't foresee "Stage Mom" in my future (breathes sigh of relief). Viv was not all that pleased with having her photo taken, but I'll say this: Girl loves her a squeezie. And at the end of the day, that's why we were there. Just don't try and take her picture while she's enjoying one, please. In addition to my girls' favorite snack, Happy Family's line of products expands to baby cereal, nutrition shakes, yogurt & fruit snacks, rice cakes, and ﻿toddler meal bowls. In a nutshell, if you have a baby at home, you're going to be seeing Happy Family in your home for quite a while... I wouldn't have predicted my child at 5 years old would still enjoy squeezies, but they're an easy snack, and I love that with the "Love My Veggies" line, she's getting a full serving of veggies in one pouch! So here's the fun part. 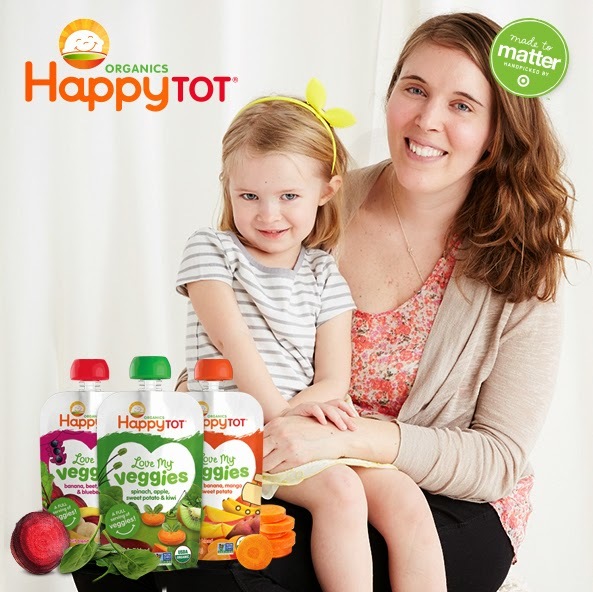 To celebrate their Made to Matter participation, Happy Family Brands would like to give away a BIG OL' bag of Happy Family products (just a few of the goodies pictured above!) My kids were just a little bit excited when this box arrived, and I predict yours will be as well. See Rafflecopter directions below, and I'll pick a winner in 2 weeks (US only, please). Good luck! I like that photo of you!!! !